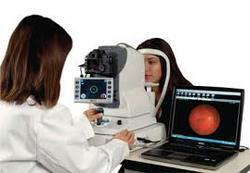 Treatment of Eye Allergy, Dry Eyes, and Red Eyes. We accept American Express, Master Card, Visa, Discover, and CareCredit. We participate with VSP, Eyemed, BlueView, Cigna Vision, MetLife Vision, Medical Eye Services, Davis Vision, Safeguard, Avesis, Superior Vision, March Vision, NVA, VBA. Check with our staff if you have other types of coverage. Our staff speaks Spanish, and Vietnamese.